Bidders for the franchises have been asked to bear full long-term funding risk on relevant sections of the Railways Pension Scheme, Stagecoach said. The Pensions Regulator has estimated the UK rail industry needs an additional £5-6bn to plug the pensions shortfall, and the company said it was being asked to take on risks it “cannot control and manage”. 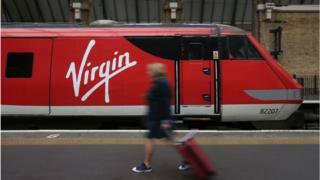 It was, he said, “more evidence that the current franchising model is not fit for purpose” and “further damages the already fragile investor confidence in the UK rail market”. Stagecoach, which also has a huge bus division, currently operates the East Midlands rail franchise between London St Pancras International and destinations including Leicester, Derby, Sheffield, Nottingham, Manchester and Liverpool. The company has a 49% share in Virgin Rail and also runs the Sheffield Supertram. Stagecoach’s East Coast franchise was renationalised last year following poor performance and mounting losses. This morning Stagecoach shattered that conventional wisdom, rubbishing the Department for Transport’s decision to exclude it from three bids. Stagecoach had refused to shoulder the long-term pension liabilities, knowing that the pensions regulator has warned that more cash will be needed, but not knowing how big that bill might eventually be.